The brand new Lexus CT200h is another hybrid car from Lexus, but it is a hatchback. Our review for Lexus CT200h is based on analysis of different published reviews and data available on official Lexus website. Lexus has introduced another hybrid, but unlike HS250h the CT200h has more sporty look and attractive design. The Lexus CT200h lies in small upscale cars category. The CT200h is a compact hatchback with sporty design that will attract many fans. Reviewers comment on Lexus CT200h design that it has sportier design than any other Lexus model. However, the performance is not sporty if you compare with other cars in the class, but you cannot find more attractive design than CT200h.Lexus claims that the fuel economy is 43 miles per gallon in city and 40 on the highway. You cannot expect aggressive acceleration with a good fuel economy. Reviewers are also not happy with variable transmission, which makes the acceleration slower. Lexus CT200h is liked by many reviewers because the response from public was good. Lexus manufacture few entry level luxury cars and the CT200h most likely to gain more attraction. Only Audi A3 is a worthy competitor for Lexus CT200h. Reviewers also recommend considering Toyota Prius because it offers better fuel economy. The Lexus CT200h is introduced in 2011 models, and it offers all the quality components that you expect from Lexus.There is standard faux leather interior Lexus calls it NuLuxe and a navigational system. Lexus CT200h comes with 1.8 liter four cylinder engine, which produces 134 horsepower. 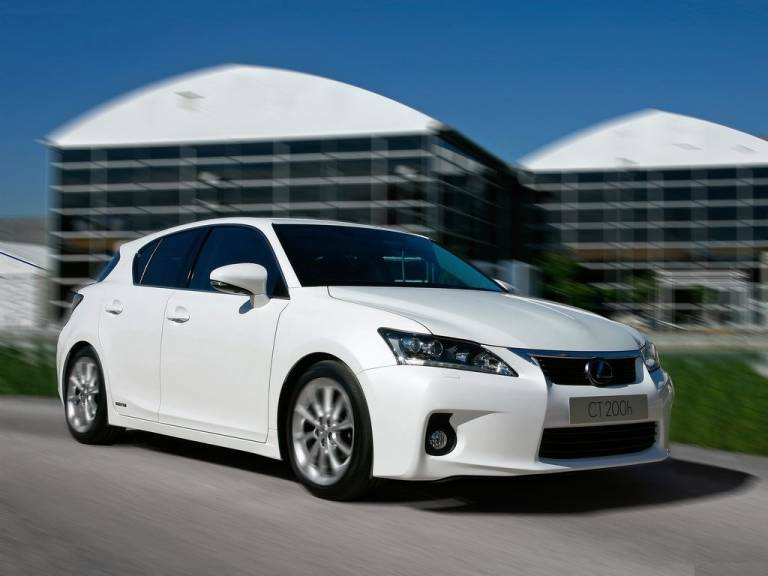 The Lexus CT200h is yet to be available in the market, and it will be launched in 2011. 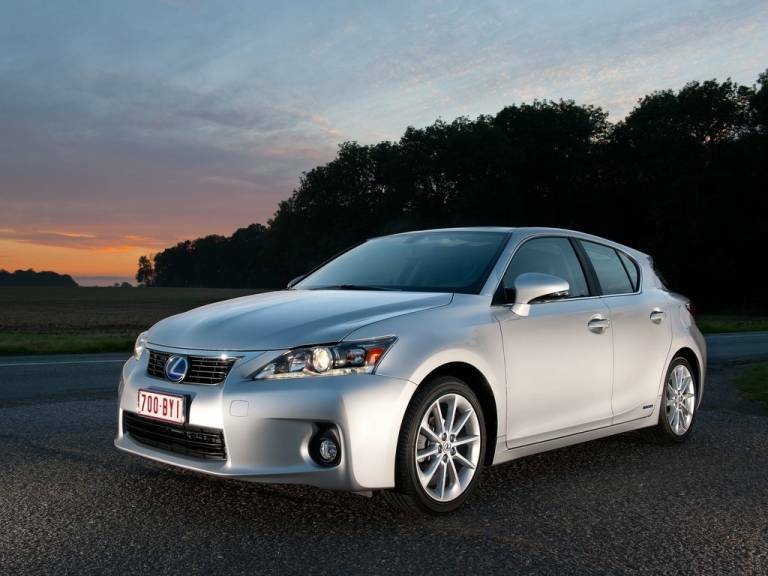 The 2011 Lexus CT200h is something to talk about, and it is one of the sportiest choices in Hybrid cars. Lexus has fine tuned the looks to make it look like a sports hatchback. However, the performance is not sportier only the looks are. If you are looking for a hybrid hatchback with a good fuel economy, then it is a perfect car for you. You cannot complain about CT200h acceleration because it is not designed for sports drag race. The overall Lexus CT200h is a perfect car, and if you prefer the design over features, then it is a dream hatchback. You can consider the closest rival Audi A3 for more power. 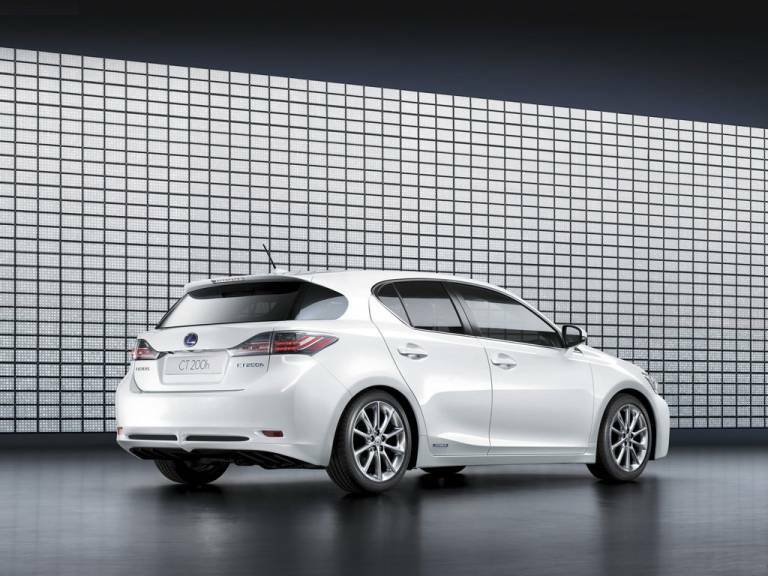 CT200h produces 134 horsepower, which is adequate for a hybrid car. To maintain the perfect fuel economy ratings the power is on the lower side. There is nothing to complain about understanding the hybrid car requirement. Some reviewers demand manual transmission control because automatic transmission slows down the acceleration more. Lexus claims that it can take you 43 mpg in city and 40 mpg on the highway. If you compare other hybrids, the CT200h is the sportiest hybrid, and the sportiest Lexus model ever designed. The handling is not good as compared to other upscale hatchbacks. The steering and braking feel is also not good and reviewers complain about them. Buyers will be impressed by the handling as compare to other hybrid cars. No other hybrid car offers good responsive handling. 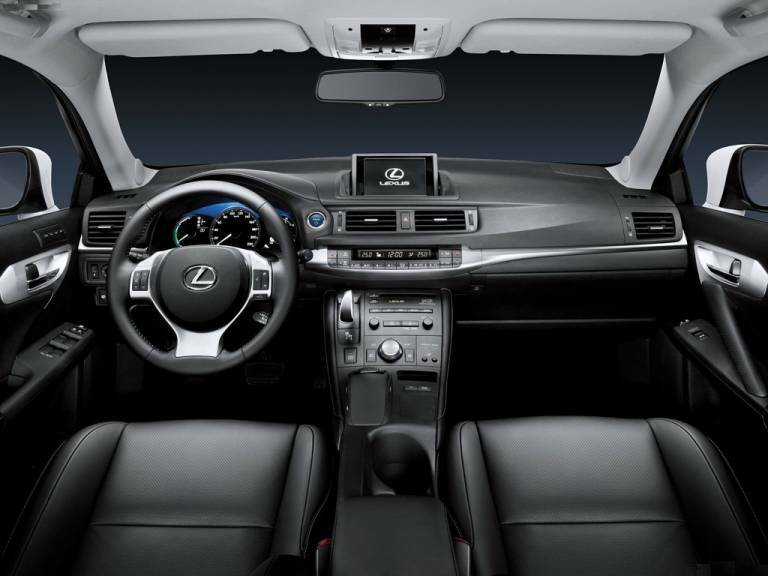 The interior of Lexus CT200h is appraised by many reviewers. CT200h offers the good quality materials, and luxurious feel. However, some reviewers did not like the interior design. It is like everything put together. The seats are comfortable and luxury. Lexus offered the NuLuxe Faux leather. The front seats of CT200h are most comfortable. There is optional leather seating and some reviewers are not happy with NuLuxe faux leather as standard. If you need more luxurious feel, then opt for the leather seats. There are many high tech features offered in Lexus CT200h. There is a holder for your mobile phone or music player, which has received positive reviews from the reviewers. There is a standard gauge cluster liked by many reviewers, which change from power flow meter to a tachometer when you place CT200h on sport mode. The cargo space is not good, and it is below average as compare to other vehicles. It only offers 5.2 cubic feet of space, but is sufficient space for many buyers. Lexus CT200h is the best looking car in the class, and no other entry level luxury vehicle can compete in design. The front styling is liked by most reviewers and press, but few did not like the rest of the design. The Lexus CT200h is not crash tested yet and no data available on safety. Lexus promise to provide the highest safety and quality for every vehicle and based on the past records it is the safest car to drive. There are many standard safety features like Airbags, pre-emptive crash system, which works with the adaptive cruise control system to avoid accidents. Some standard safety features include stability and traction control, dynamic radar cruise control (that maintains a set distance between CT200h and a car in front), Safety Connect, and Lexus telematic system. The Safety Connect system notifies the emergency in case of an accident when the passengers cannot. There is no reliability data available because Lexus CT200h is not officially launched in the market. Please check back later to see the warranty details for CT200h. However, it is expected to be the best reliable hybrid car.